Gregory, the Terrible Eater, wants orange juice and eggs for breakfast. His parents are terribly upset! 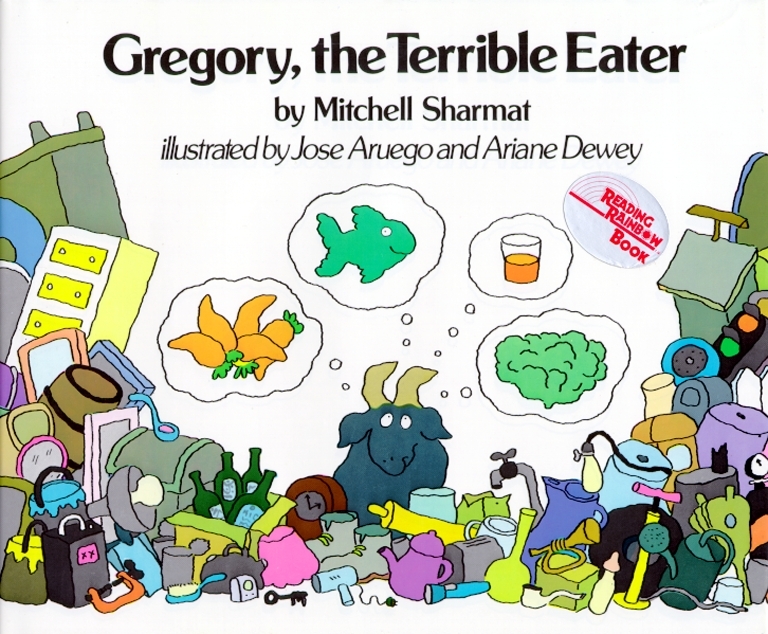 Why can't Gregory eat striped ties and violins, like the rest of the goats? Jose Aruego and Ariane Dewey have entered into the spirit of Mitchell Sharmat's upside-down, turned-around world with bold, wacky, expressive illustrations. The trio's exuberant collaboration provokes healthy laughter and even includes a colorful chart which gives fresh meaning to the concept of "junk food."